MARSHALL -- The new Clark County economic development coordinator's office is located in a small, unassuming building on the south side of Marshall. That one-story, brick building is tucked between much larger Clark County Highway Department and Cooperative Extension Service facilities. However, the work that Michelle Norris will perform out of that small office could eventually yield big economic benefits for Clark County. On Jan. 6, Norris assumed her duties as economic development coordinator through a Peace Corps Fellows Program in Community Development offered at Western Illinois University in Macomb. The program is a unit of the Illinois Institute for Rural Affairs. Peace Corps volunteers who are returning from overseas get an opportunity through the program to earn master's degrees while receiving hands-on training in rural community development. "The Peace Corps program tends to be a spring board for helping communities reach their economic development goals," she said. 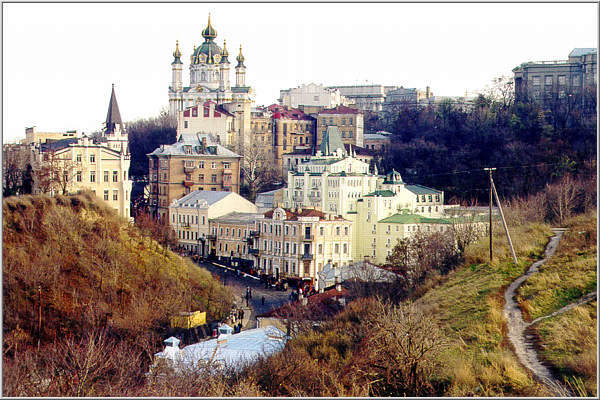 Norris, who is a Zanesville, Ohio, native, served with the Peace Corps in the Ukraine. Chairman Don Lowry of the local Community and Economic Development Committee said Norris will be able to work full time on economic development, whereas the county or local communities could only devote personnel part time. Lowry said Norris also has experience writing grants and a background in rural development, both of which will be a big help. "I think she is going to do a wonderful job for us," Lowry said. Norris said one of her first goals during her 11-month internship will be to arrange for the University of Illinois to survey Clark County residents by mail about economic development. Clark County needs to develop a consensus about what types of economic development it would like to pursue and how this should be done, she said. Once the survey is completed, Norris said she would like to help the county develop a strategic plan that would guide its economic development efforts. Norris said Clark County already has a lot to offer prospective businesses and industry through its enterprise zones along U.S. Route 40 and Illinois Route 1, and its location along Interstate 70. "I think there are a lot of places in Clark County that are very optimal for economic development right now," Norris said. The Community and Economic Development Committee, which formed in March 2002, includes two members each from Casey, Marshall, Martinsville, Westfield and West Union. It voted to pay for Norris' services with $20,000 from the county's economic development fund. Lowry said he has been impressed by the high level of cooperation from Clark County's communities, but cautioned that economic development will be a long-term process. "It's not going to be a miraculous thing that will happen overnight," Lowry said.